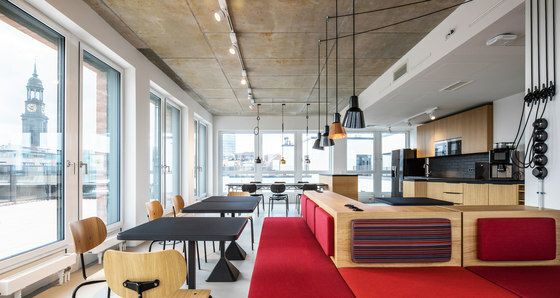 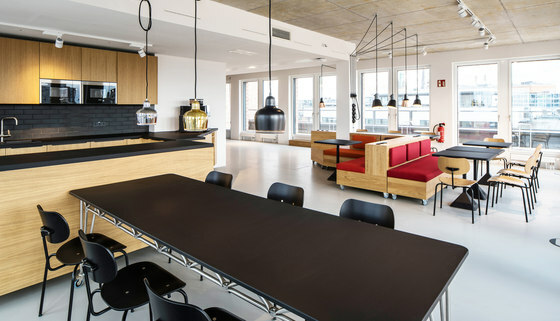 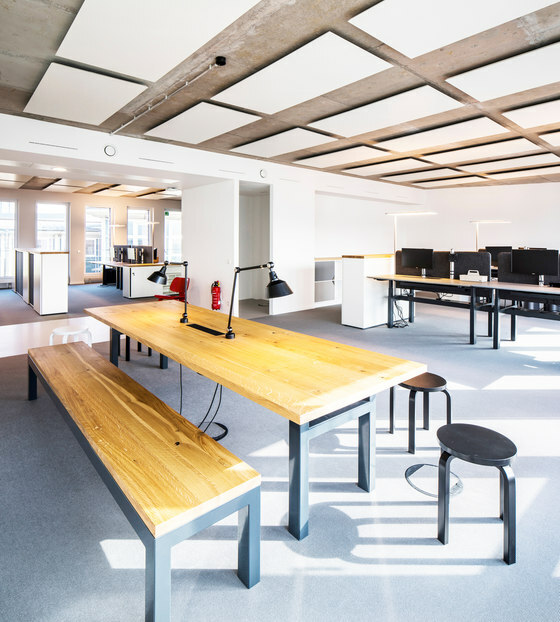 Covering 2,250 square metres of floor space, the offices of international real estate & investment management firm Jones Lang Lasalle (JLL) are located in the city centre of Hamburg. 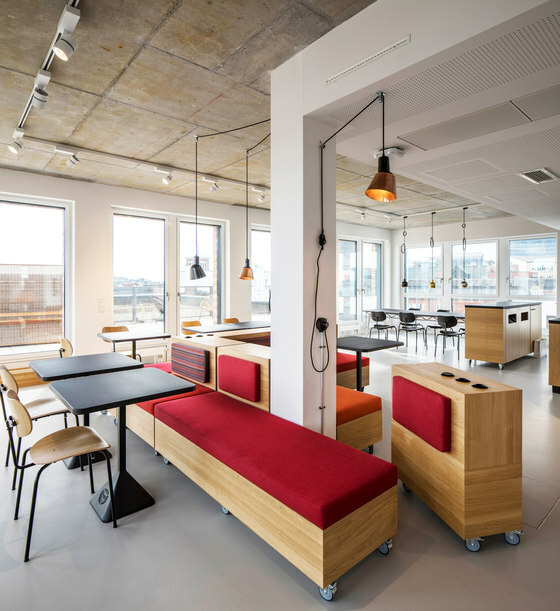 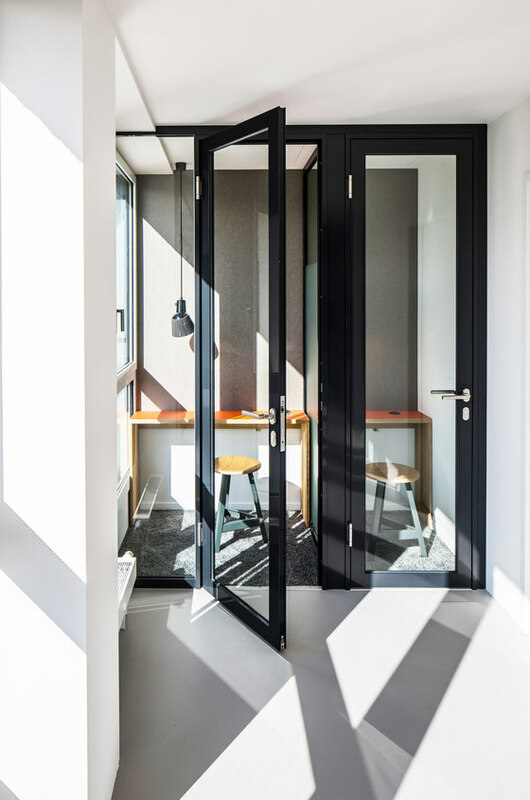 On three floors, PLY ATELIER architectural studio has designed modern workspaces that combine both flexible and fixed workstations in an open plan concept. 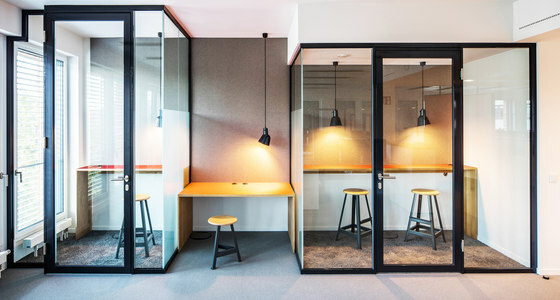 In addition to lounges, open meeting rooms and modern kitchen areas, there are also small and large telephone booths. 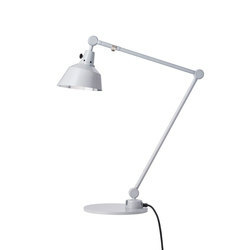 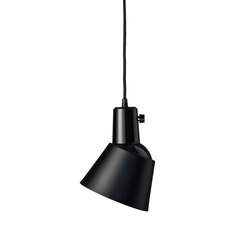 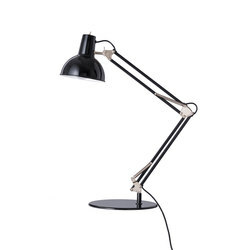 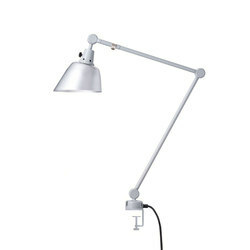 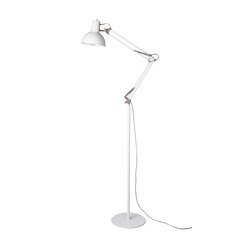 Among other things, the workspace’s lighting is defined by the height-adjustable and rotatable K 831 lamps by Midgard. 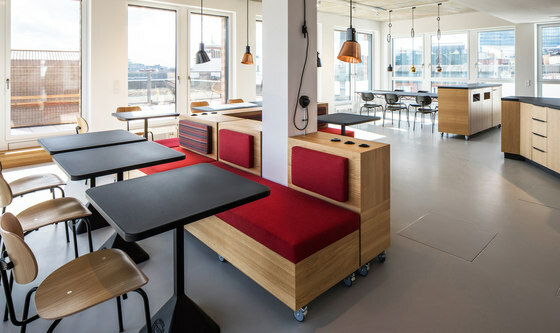 Modern copper and aluminium designs of the K 831 can also be found in the open café area and in the phone booths. 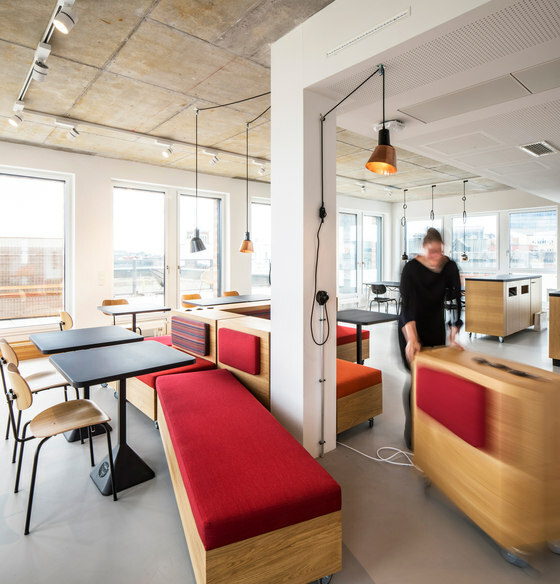 Furthermore, the architects have integrated two Midgard TYP 551 modular table lamps into the large and welcoming meeting table. 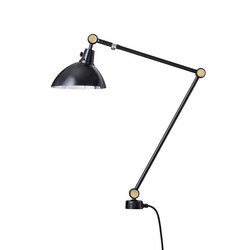 Thanks to a swivel base, the lamps can be turned into all directions.